The AM2 Stereo Set is a matched-stereo, cardioid condenser microphone kit with two AM2 microphones, windscreens, clips, a padded hard case, and an XY-stereo mount. AM2 microphones are low profile, miniature cardioid condensers with switchable -10dB attenuation and a high-pass filter. These XLR mics capture all of the nuance and subtlety that separate good recordings from great ones. With a clean FET amplifier and a transformerless output stage, AM2 microphones offer low self-noise, high-resolution audio capture. Their small diaphragm condenser capsules offer excellent pickup of the "air" that characterizes high-quality small diaphragm condensers. AM2 microphones can be used very close to a sound-source without the sound becoming harsh. The switchable high-pass filter reduces interferences through subsonic and low frequencies remarkably and compensates for proximity effect. The attenuation switch enables the microphone to handle high sound pressure levels without distortion. The AM2 Stereo Set includes a hard, padded case for transporting the kit from studio to stage, from field-recording to production work. 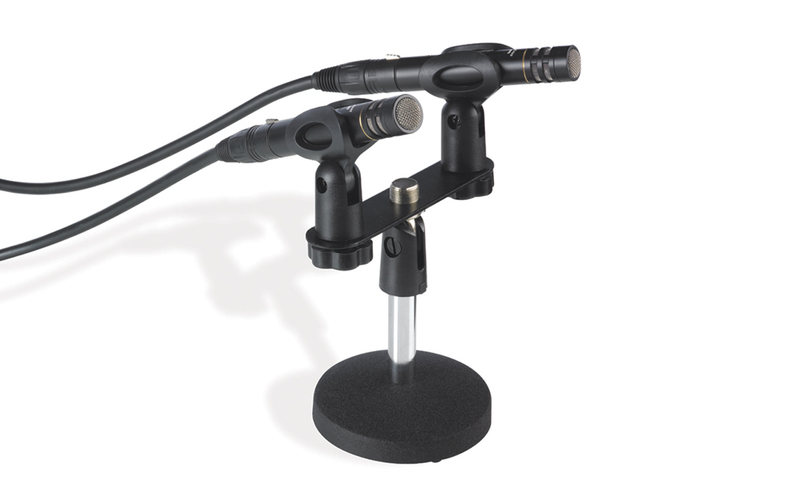 An included double stereo stand mount enables secure placement on any standard microphone stand. For high-fidelity, high-resolution, high-definition recording, the AM2 Stereo Set tears down the wall separating quality and price.